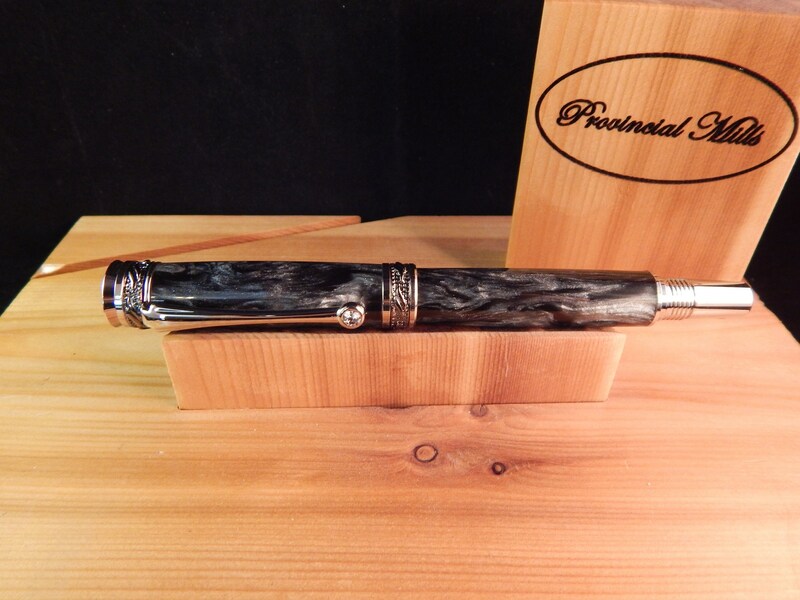 This Majestic Jr. rollerball pen was crafted from black hole acrylic and matched with rhodium and black titanium fittings. 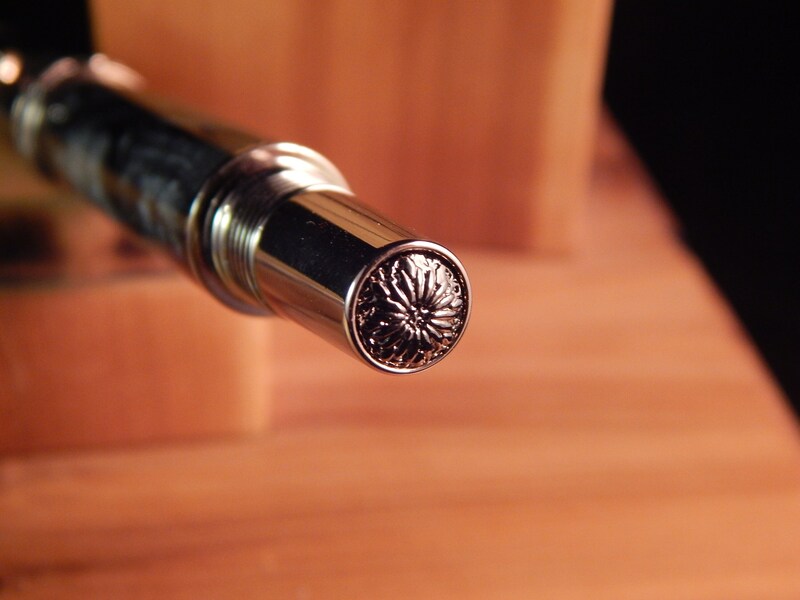 This pen does have the ability to post the cap on the back of the pen while in use. 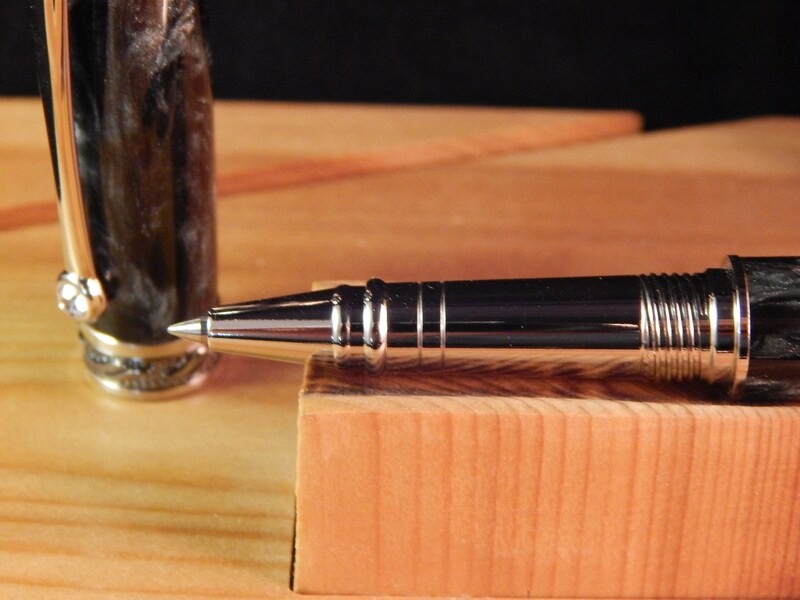 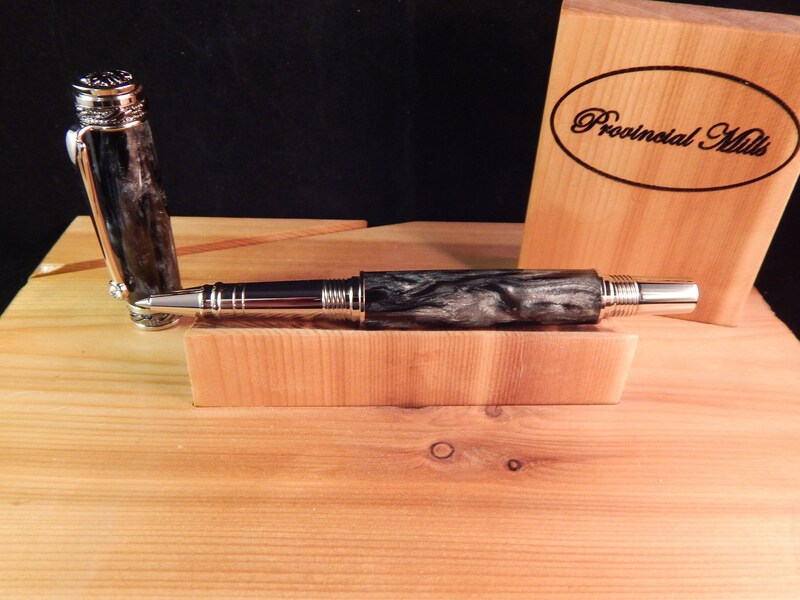 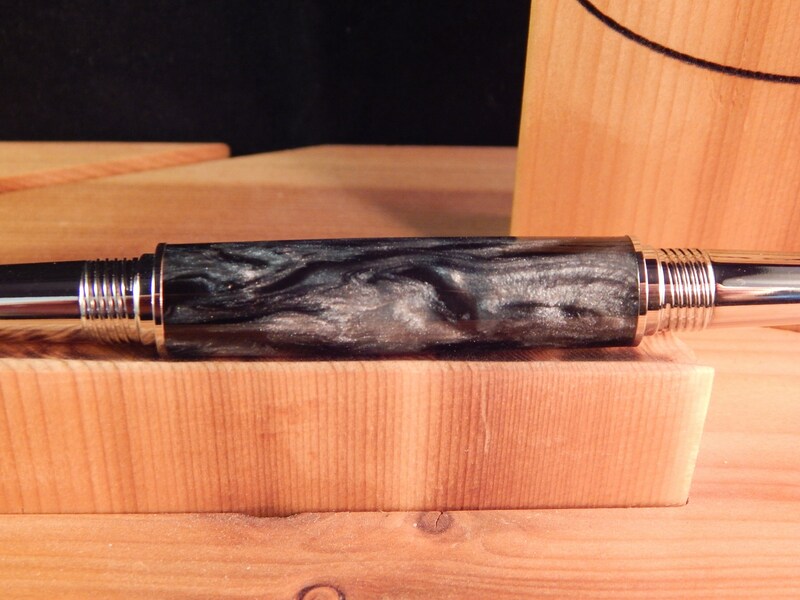 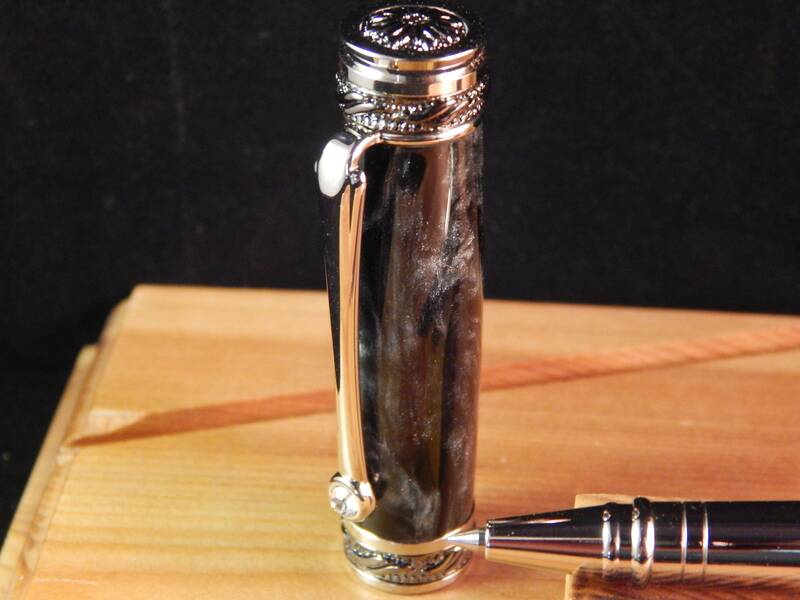 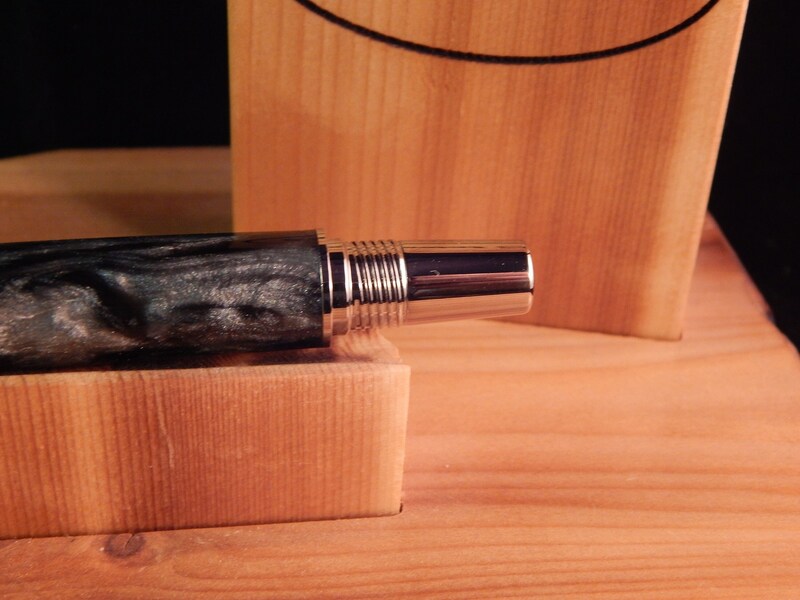 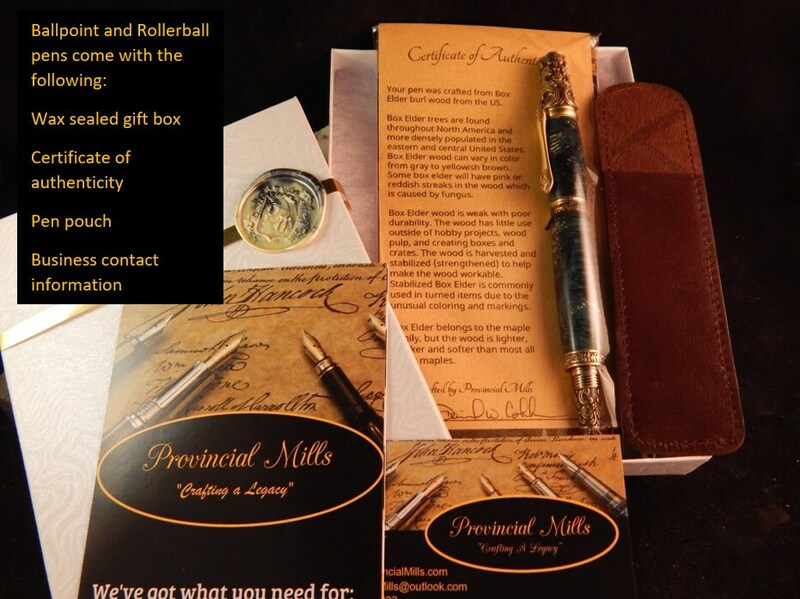 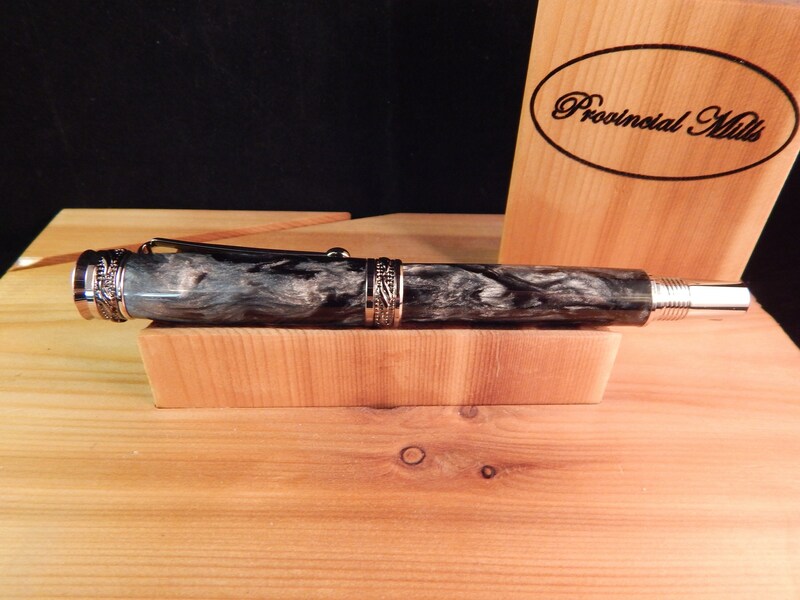 The Majestic Jr. Fountain Pen includes many remarkable features including: A rhodium-plated clip that includes a sparkling Swarovski clear crystal; All exposed accent rings, bands and caps include elegant custom hand-carved 3 dimensional designs; Components are cast, polished then plated with extremely durable Black Titanium plating; Its regal profile is accented with brilliant rhodium-plating on all components and has a flawless fit and finish This rollerball takes Schmidt 888 or Schmidt 5888 ink refills.